Your time in the hospital can go so quickly, it’s always nice to have something to look back on so you don’t forget all of the little details. Because I knew that we were going to be doing another session in about a month, we made sure to take some photos that could be replicated at home. 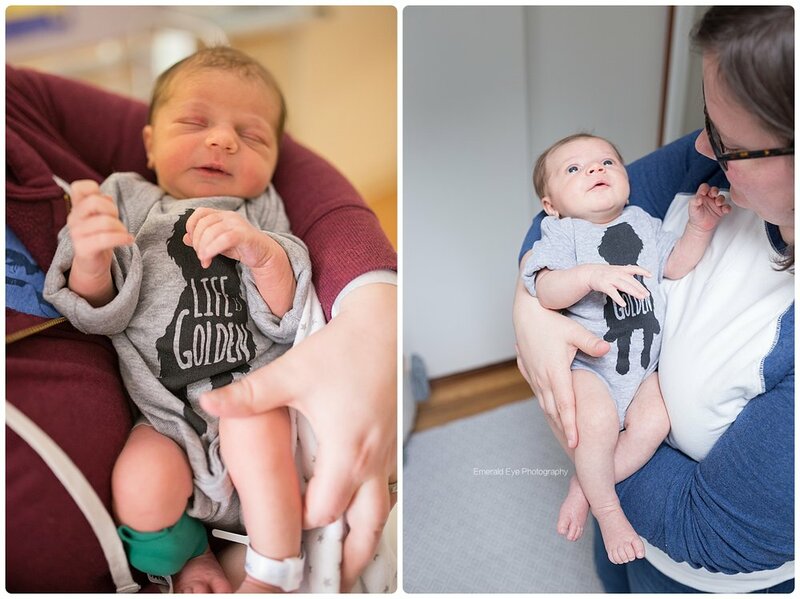 Natalie had a big furry brother waiting for her arrival so her Moms brought an super cute Goldendoodle onesie to the hospital…and you can see how much bigger she got just a month later! One month and three days later, I met these ladies at their house and I was amazed - like I always am - at how much had changed! 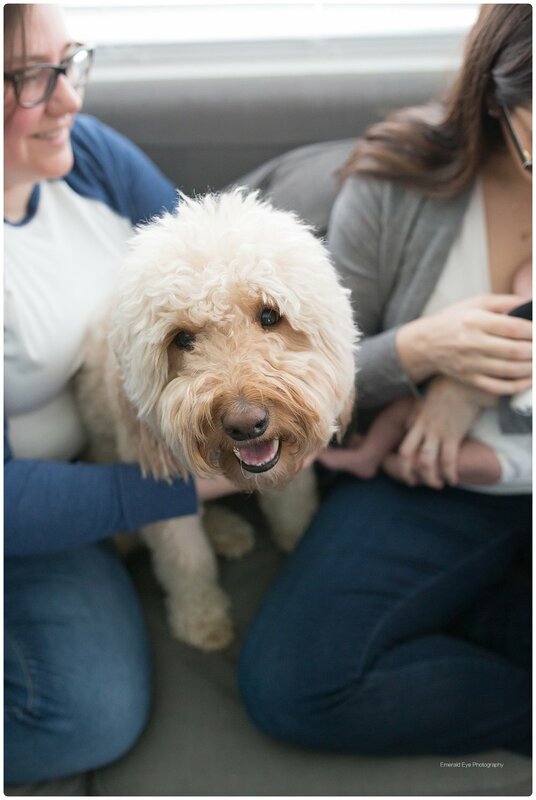 Both of her Moms seemed like they were settling into their new roles and Natalie had grown so much…I was also introduced to Toby - the cutest big brother I’ve ever met! Natalie had grown from a tiny little newborn baby to a small, but much larger, little human girl! She smirked, and loved to be cuddled. She fussed when she got changed and calmed down quickly once she was warm. She loved hanging out with brother and had such a cute nursery to grow into! Not only did her house have amazing light, it was also decorated just perfectly for photos. Each picture felt homey and it was easy to include details that make the in-home sessions so much more personal. Toby even stuck around for quite a few photos, although I think by the time we were done, he had enough! Even though Natalie is 8 months old now, I hope her Moms will always have these photos to help them remember the times when she was at her smallest! I have a feeling we might be seeing a few recreation photos of her laying with her big brother in the next few years! Are you interested in booking your own Newborn session? Check out more info in my Client Guide or email me using the button below!